This new room is far more comfortable for both students and faculty. We don’t miss the 1985 color scheme either! You can see the progress made on Scovel 105 in this series of images. 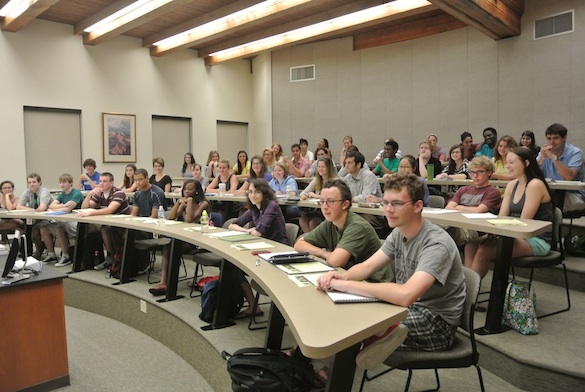 Scovel 105 was first officially used for the Junior Independent Study presentation of Kit Price (’13) and the Senior I.S. presentation of Richa Ekka (’13). They each worked during the summer on their projects and gave their summaries to a group of faculty and students on Friday afternoon. Kit Price (’13) and her very last slide. 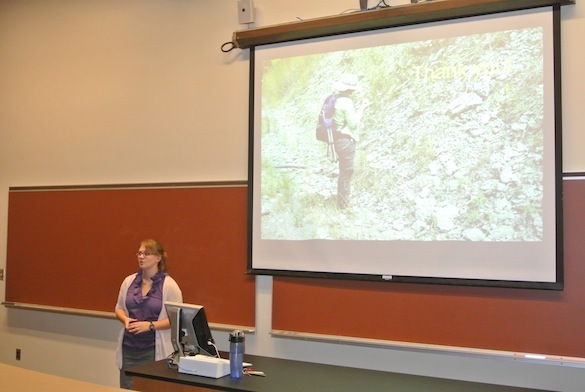 She worked on Cincinnati area fossils this summer. 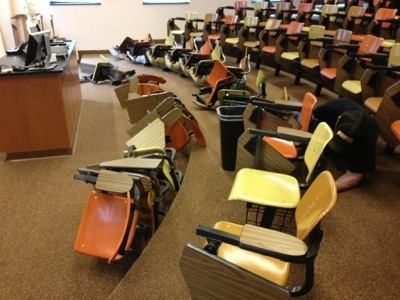 Note the new lecture table top. 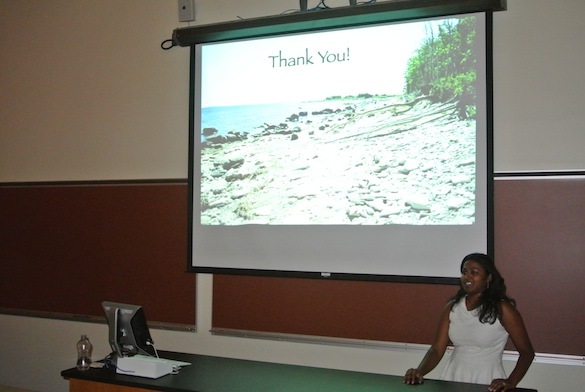 Richa Ekka (’13), also with her last slide. She did field work in Estonia this summer.